Touch control – is control of the device by slight touching it. 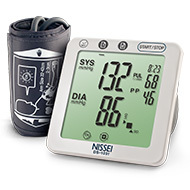 Dual 60 times memory (blood pressure, pulse rate, date, time). You can select several models and compare their specifications. You can use the advanced search for the selection of the correct model tonometer in the parameters.